This Ancient Druidic Birth Sign is ‘Rowan’, January 18th – February 17th. 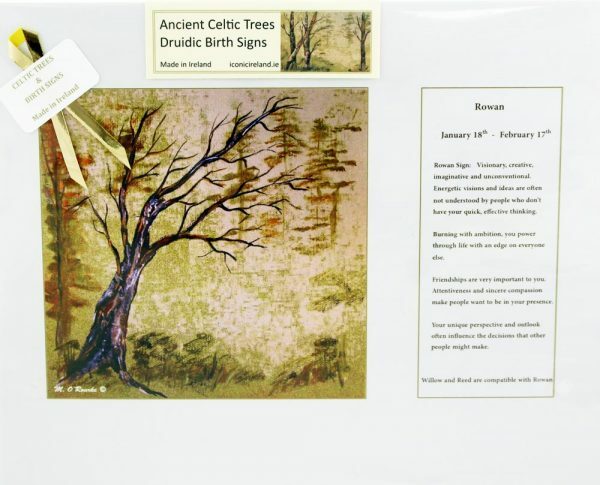 Ancient Celtic Trees Druidic Birth Signs quality printed from original artwork by Dublin artist, Maura O’Rourke. 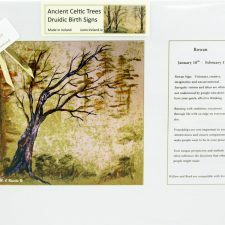 Rowan Sign: Visionary, creative, imaginative and unconventional. Energetic visions and ideas are often not understood by people who don’t have your quick, effective thinking. Burning with ambitions, you power through life with an edge on everyone else. Friendships are very important to you. Attentiveness and sincere compassion make people want to be in your presence. Your unique perspective and outlook often influence the decisions that other people might make. 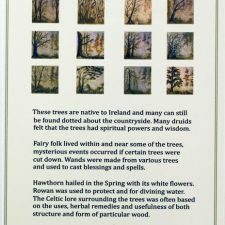 Willow and Reed are compatible with Rowan.